A Long, Long Time Ago, and Essentially True is the work of Brigid Pasulka, an Illinois-raised descendent of Polish immigrants. The book, which is framed around a pre-war love story set in the foothills of the Tatra mountains, interweaves the tales of two generations of the same family. Pasulka explains that a year spent in Krakow in 1994 was the font of inspiration for her tale. She came to the city virtually by chance, and nearly fled in the first week after being struck down by illness. However, a fortuitous encounter led to an enduring friendship, and Pasulka remains a regular visitor, counting cafes such as Gołębia 3 amongst her favourite haunts – she penned part of the novel in that nook. The author was presented with the prize on 28 March at Boston’s John F. Kennedy Library. 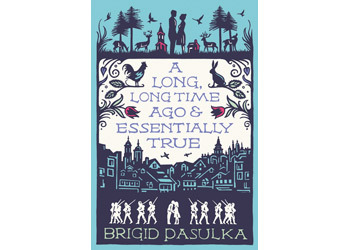 A paperback version of A Long, Long Time Ago, and Essentially True has just been published by Hodder and Stoughton.